When I started my blog over two years ago, I termed it Writing Mama and used it as a place to share my experiences and tell the truth. I wrote about writing, and my dreams, and my kids and my experiences. Along the way, I built a platform of great friends and supportive bloggers who were sharing in finding their own dreams and discoveries on this journey. But sometimes my kids leaked into my post, and I still feel free to write about whatever hits me at the moment. That’s what life is about – the moment. And trying to be fully living and engaged, even when our minds want to run off and chatter in a million other directions. So, first off, my housekeeping details! 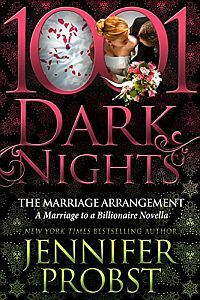 I’m so thrilled to report The Marriage Bargain is still at the top of the Barnes and Noble bestseller list in romance and all books. Holding at #3 in romance this week, and #6 in all books. A Life Worth Living still holds at the #1 spot on Amazon for Animals/Pets in Essays and books. Many of you have written to me sharing your experiences about your dogs and I’m always humbled by the wonderful animal lovers out there. I’m also proud to announce a nice big check will be going to the animal shelter because of your generosity through sales. I will also be participating in a St. Patrick’s Day blog hop with LOADS of prizes so stay tuned! And that, is a scene straight out of marriage. Nope, not like in the romance novels. But still, on a day to day basis, when my husband can laugh at me, cook for me, and just be in the mess with me, it’s a pretty good day. Happiness is what you make of it, every day. Sometimes we reach the pinnacle of joy, other times the depths of despair, and most of the time we’re stuck straight in the middle. Whoot for the cleaning lady! Nice one Rachelle! Thanks for stopping in! What defines my happiness? Right now as a single woman, I am going to back to my teenage years by enjoying myself following a rock band around when I can. Other than that hanging with good friends (Like you), being with family and my new found happiness working out!! I know it doesn’t defines everyones live but it gets me through!!!! Wow, T, you said that so beautifully! Love it, hanging with a rock band is completely AWESOME!! Love you! Lol I know it! But I also love hanging out with friends talking and laughing it is the most amazing thing. (hint hint) we are do for a get together! Hint taken! We will get together in 2 week s- promise! Yes! I love those answers, you covered the basic three – spouse, kids, writing. Thanks for taking the time to stop in! HI Tara! You said it so well, and you know where the right place is to look. Your son sounds pretty awesome – he’s lucky to have such a great mom. When things are going bad for me, I look at my two boys also and it reminds me how lucky I am. Thanks so much for stopping – I always love hearing from you!